Billy Chownyk has just graduated with a Master in Computer Science and Engineering Degree. He is one of the best software development and network security students the university has ever seen, but Billy has no plan to hunt for a job. Follow the activities of this Chicagoland crew as they perpetrate identity theft, penetrate corporate firewalls, engage in devious corporate espionage and commit to bold attacks on the credit card industry. 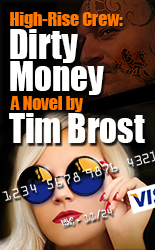 High-Rise Crew: Dirty Money is a modern crime novel, the first release in the High-Rise Crew Trilogy, a series that takes the reader on a wild ride through black hat territory on the way to corporate digital security and the brink of cyber warfare. 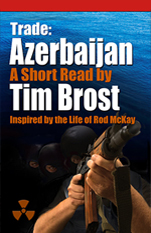 You’ll come to love the arc of Billy and his associates as they gradually transform into the heroes we will one day need. 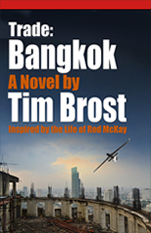 Tim Brost also writes fiction about the lives of an international arms dealer and his associates in the Trade Series.